Miami got to witness a great handful of exclusive parties throughout this past week, but nothing compares to everything that Big Beat Records had to offer during the hottest week in electronic dance music. The record label hosted its most exquisite Miami Music Week mixer yet, overlooking those beautifully iridescent Miami skies at The DREAM hotel’s rooftop right in the heart of South Beach. Also featuring several original live acts, it was definitely the place to be last Wednesday night. As one of the most intricate record labels in the game, it’s no surprise Big Beat went all out for its special MMW ensemble. The DREAM hotel South Beach was home to some of the label’s top supporters, including numerous hot names in music. With the party being an invite-only event, every electronic music aficionado present got the chance to mix and mingle with relevant industry personalities while simply indulging in the thrill of it all. Everything about the event reflected what MMW is all about, and it was an overall success to say the least. 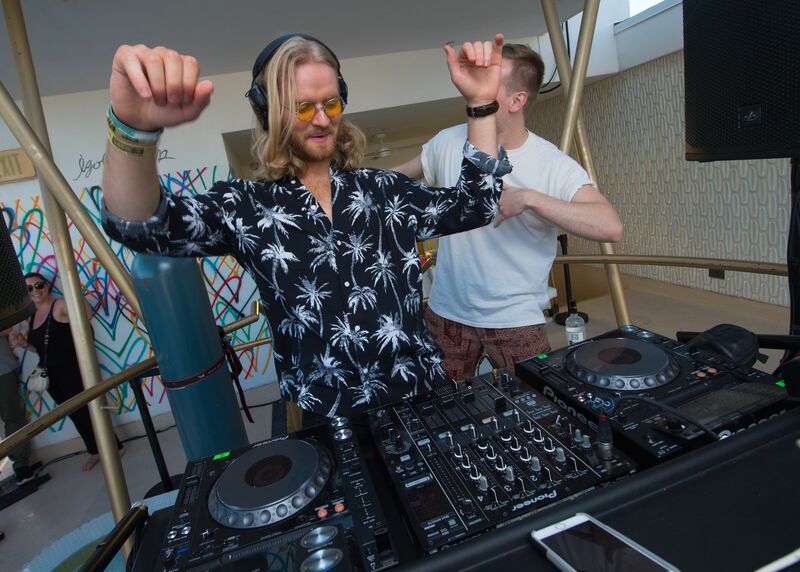 On top of it all, Big Beat featured poolside live acts from sick names in the music world including Niko The Kid, KREAM, Matt Medved from Billboard Dance b2b Dani Deahl from The Verge, and Tommie Sunshine b2b Jeremy Dawson from Shiny Toy Guns. We even spotted BLVK JVCK, one of the label’s most fresh signees, and WHIPPED CREAM roaming around and experiencing the soiree with us as the night went on! An intimate affair, the festivities sure made everyone present feel the positive vibes as we all soaked up the tremendous amounts of thriving energy that filled the air in the 305. An open-bar, an all-you-can-eat buffet, live sounds from Big Beat & Friends all-stars, and a rooftop pool? What else could we have asked for? Thank you Big Beat for hosting quite a party, we’re already counting down the days until next year’s festivities!